When I meet the Scandinavian duo (Elmgreen, 57, was born in Copenhagen, Denmark; Dragset, 49, in Trondheim, Norway), the installation is in its early stages. 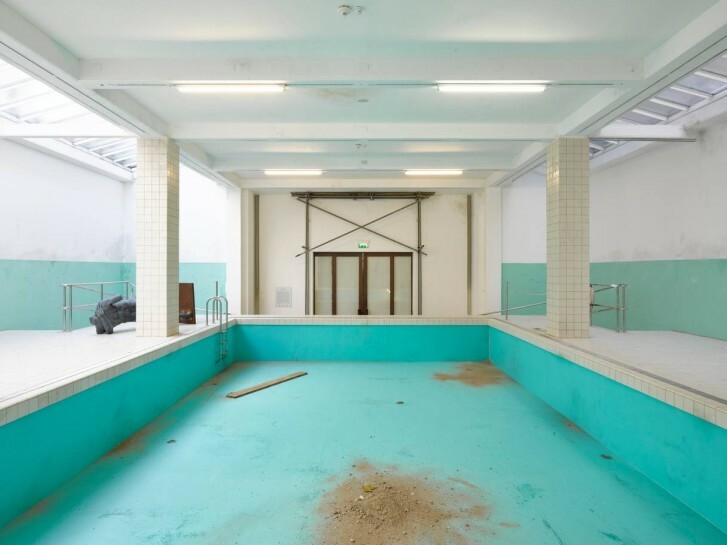 But already the Whitechapel’s lower gallery is shape-shifting into a light-filled yet forlorn early Edwardian public pool. The pair’s sculptures will be dotted here and throughout the galleries in a show titled This Is How We Bite Our Tongue. Upstairs is what they call The Chapel, a brooding, gloomy negative to the daylit pool below, sardonically reflecting on contemporary masculinity. Even incomplete, it’s a spectacular show.